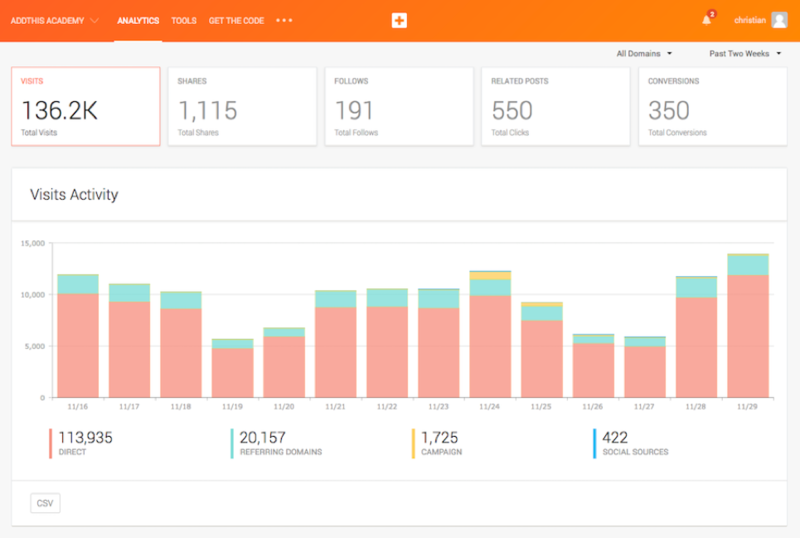 AddThis analytics allow you to track how, where, and by whom your content is being shared. 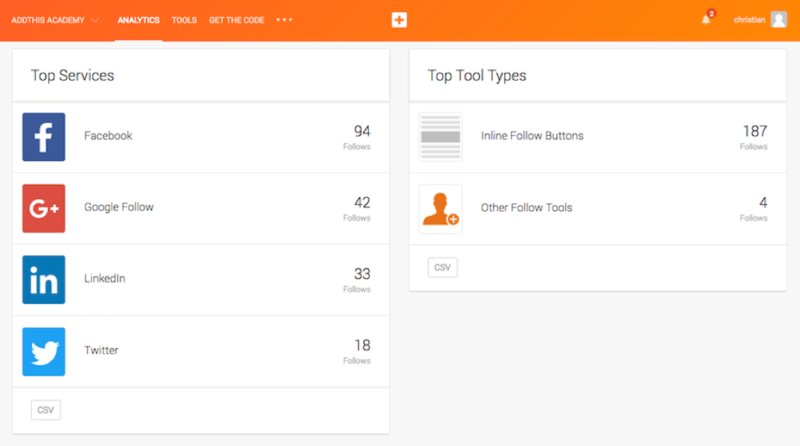 In addition, our analytics show follow activity, related posts performance, visits, and conversions. AddThis Profiles make it easy to share analytics reports and other configuration settings with team members or clients. 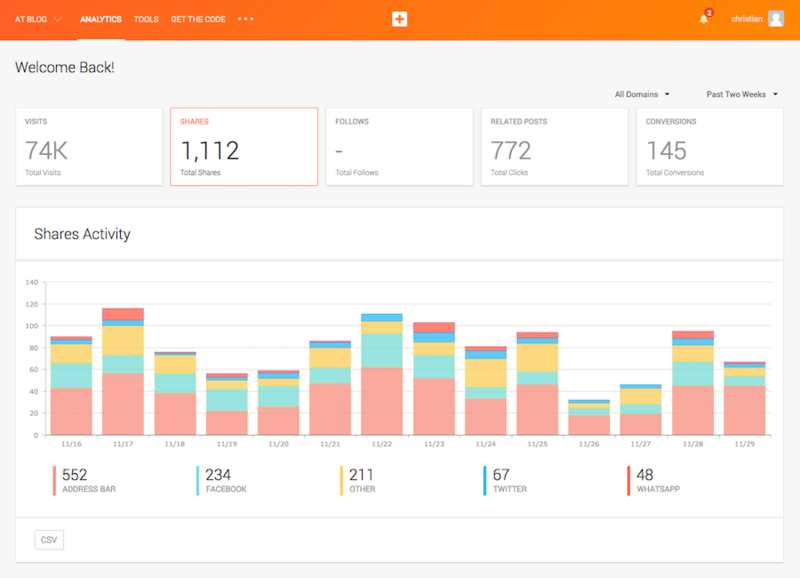 Now, each team member or client can have their own AddThis account, and share the same analytics data. Learn more about setting up and sharing analytics reports using AddThis Profiles. If you installed AddThis in the past and didn’t register, you’re missing out on powerful reporting that can help you improve your strategy. Learn how to start getting analytics. Let’s take a closer look at each of the available reports. This first report shows how many visits you’ve received to your website from AddThis website tools, where they came from, and if a specific campaign helped drive them there. This report shows which pages are being shared most frequently, and which are bringing the most traffic back to your site by tracking shares and social clicks. 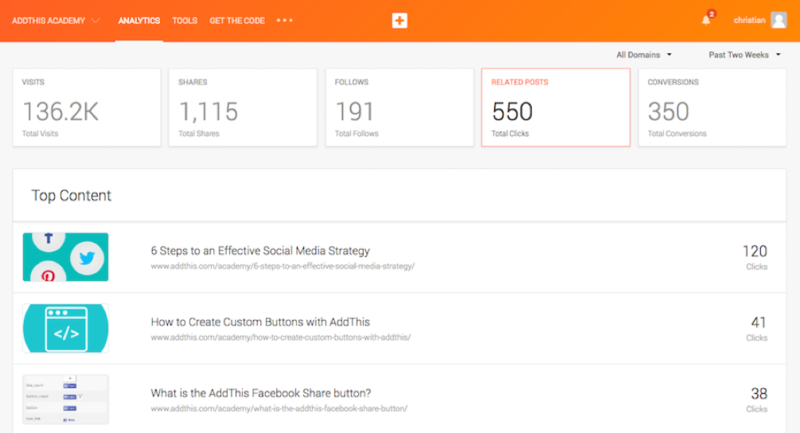 The follow activity report shows the number of new followers you’ve gained on social media via AddThis Follow Tools. This includes your top services and content. This report takes a closer look at your top performing related posts. 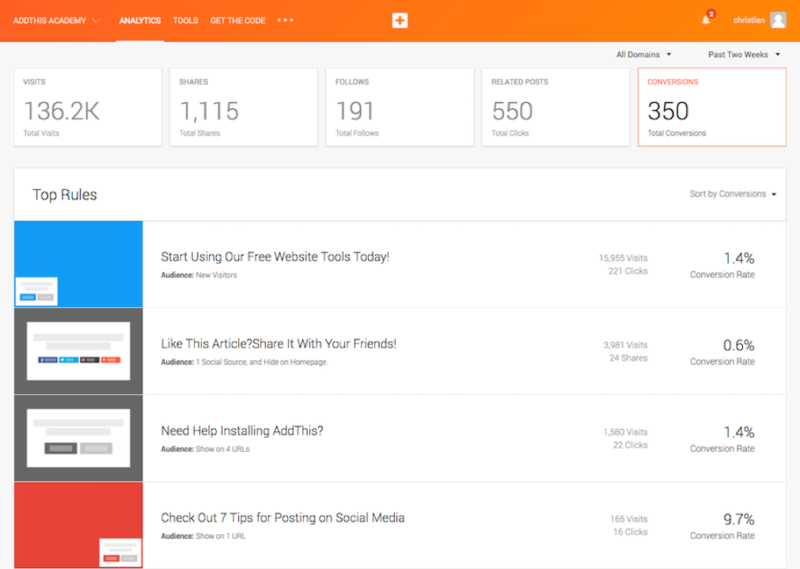 You can track which pages are getting the most clicks, and see your top related posts tool type. The conversion section of our analytics shows how your targeting tools are performing, including the number of views each rule has received and the total number of clicks. 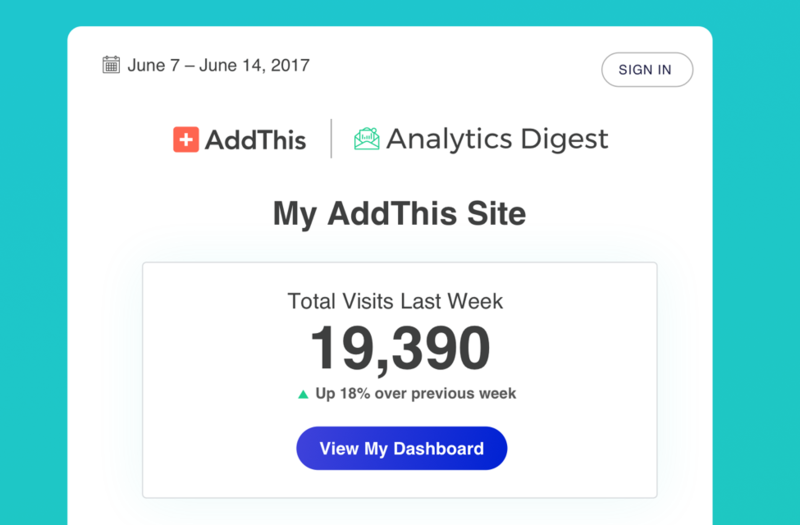 Last but not least, every Monday, we send a digest of your AddThis analytics activity straight to your inbox. The digest provides you with a recap of the performance of your site in the last week and other fun data highlights. For more information about our weekly digest, visit our Email Overview Article. 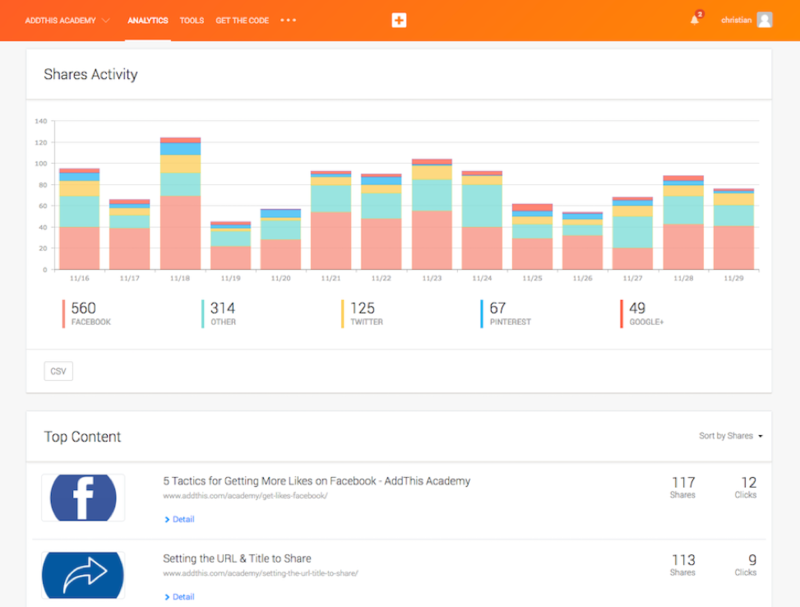 Ready to check out the analytics for your AddThis website tools? Login to your dashboard now!